Colleen was married, and her children were past the difficult toddler stage. Things should have been going great. But instead, everything was falling apart. Her marriage was in pieces and she was in the middle of a tough divorce. To make matters worse, she discovered that she was pregnant, and the father of her baby was not her soon to be ex-husband. When Colleen tearfully told the father of her baby the news, he immediately demanded that she get an abortion. He would not help her raise this baby, and he was adamant about it. Colleen didn’t know what to do. She was a Christian and knew abortion was wrong, but she couldn’t see a way through her situation. 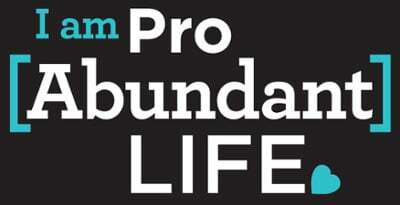 So she called Pregnancy Decision Line (PDL), Care Net’s national hotline providing women and men facing difficult pregnancy decisions real-time, pro-life coaching and support. Colleen’s coach listened as she tearfully shared her regret, shame, and fear. As the conversation progressed, her coach reminded her of God’s love. She helped Colleen see that God would never leave her. Colleen told her coach that, despite the many difficulties that remained, she would keep her baby! Colleen’s story is not unique. Care Net’s research into abortion found that the father of the child is the most influential voice in a woman’s pregnancy decision. Far more influential than her parents or an abortion provider. In the Nativity Story, the angel Gabriel didn’t stop after sharing a message of hope with Mary; he visited Joseph as well. You see, God knew that His Son needed an earthly mother and a father. And God knew that Mary would need the support and encouragement of Joseph in the days ahead. Because of you, Care Net can – through Care Net affiliated pregnancy centers, PDL, and our growing network of life-affirming churches – stir the hearts of countless “Josephs,” men who choose to embrace fatherhood and empower their partner to choose life. And we are also able to step in and serve women like Colleen, whose partners have rejected God’s plan for fatherhood and the family by seeking a life-ending choice. Thanks to you, there are over 670,000 children who are able to celebrate Christ’s birth this Christmas season. So thank you for your generous support of Care Net!